The GT3s were absent for the first pair of races at Oulton Park, but the two hour event at Donington Park on May 21 will see seven of the new-category machines join the GT2s and GTCs. 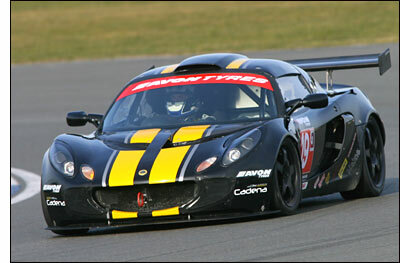 Trackspeed is entering a Porsche 997 for (team co-owner) Rory Fordyce and Danny Watts, while Barwell Motorsport will have all three of its Aston Martin DBRS9s in action, with LotusSport Cadena also introducing its three Lotus Exiges to the series. British F3 race winner and 2002 Formula Renault Champion Danny Watts seems bound to make an impact in the two hour event. 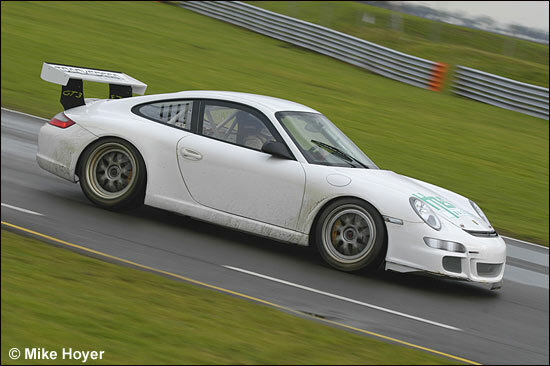 Trackspeed took three podium finishes at Oulton Park with its Cup Class Porsches. Watts and Fordyce will be up against Barwell Aston Martins for Tom Alexander / Michael Bentwood, Leo Machitski / Piers Johnson and Paul Drayson / TBA. The three LotusSport Cadena Exiges will be pedalled by Paul Whight / Chris Randall, Barrie Whight / Gavan Kershaw and George Mackintosh / Sam Blogg. The third car is a new addition to the LotusSport Cadena fleet: it's the test car that ran at Paul Ricard (in the FIA's equalisation tests).